TERMS: Cash - A 10% nonrefundable earnest money payment on the day of the sale and the balance on or before October 19, 2018 with possession and fall tillage privileges to be awarded subsequent to the harvest of the existing 2018 crops and the existing tenants rights under the 2018 farm lease. Marketable Title will be conveyed and an abstract of title continued to date will be provided to the buyer for examination prior to closing. The RE taxes payable in 2018 were $1,334.00 and will be paid in full by the owners; the buyer will be responsible for payment of all of the RE taxes due & payable in 2019. The sellers do not warranty or guarantee that existing fences lie on the true boundary and any new fencing, if any, will be the responsibility of the purchaser pursuant to MN statutes. The seller will retain the CRP payments payable in 2018, with the buyer to receive 100% of the payment on the CRP acres payable in 2019 with no proration, the buyer will be obligated to comply with all the remaining terms and provisions of the existing CRP contract; furthermore any buyouts or penalty due for cancellation or non-compliance with the terms of the CRP contract will be the responsibility of the new owner(s). FSA yields, bases, CRP info., payments & other FSA information is estimated and not guaranteed and are subject to County Committee Approval. This property is sold based on the acres as stated on the county tax records with the acres understood to be “more or less” and is sold subject to existing easements, restrictions, reservations or highways of record, if any, as well as any or all applicable county zoning ordinances. Information contained herein is deemed to be correct, but is not guaranteed. 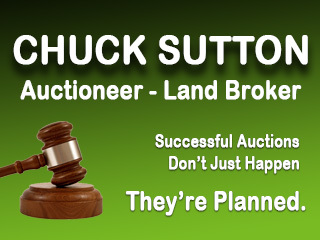 The RE licensees/auctioneers in this transaction stipulate that they are acting as agents for the sellers. Sold subject to confirmation of the owners.